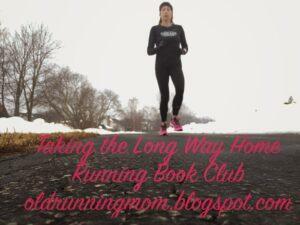 Last month, Wendy from Taking The Long Way Home suggested the idea of a Running Book Club. I’m always on board for reading new things and having a way to share opinions on them so I was quick to sign up. This month’s selection was Honey, Do You Need A Ride? 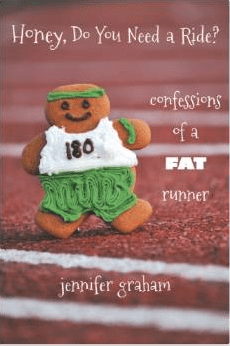 Confessions of a Fat Runner by Jennifer Graham. I was kind of excited to dig in to this. I mean, that gingerbread cookie on the cover looked mighty delicious, and I really like reading stories of people who run and find joy in it, who maybe aren’t conventional in terms of size, shape and skills. This is journalist-turned-freelancer Jennifer Graham’s story of accepting herself as a “real runner”. A “fat runner.” In short, disjointed chapters, that lend themselves better to newspaper columns than a cohesive book, we learn some details about Graham’s life. We jump around a bit, covering her father’s abandonment of the family, her grandmother,’s overindulgences via food, her less than athletic endeavors into organized sports, the teachers in high school and college who treated her poorly for her weight and who inspired her for her writing talents. Graham started running because of a dream she had at the age of 25. In it, she is running around the lake of her childhood home, in perfect form, without, as she details, breaking a sweat. This is the thing that propels her from the couch and into her sweatpants and sneakers, for the very first outing of her running career. In stacatto snapshopts, we learn about her four children. Her husband. Her moves to different houses and different cities. Her divorce. Her donkeys. She shares the anxiety that comes with searching for and finding the outfit that makes you feel great about yourself when running. The joy of the runner’s high. That feeling of running your first 5K and worrying that you don’t belong there, until you get out there and know that you do. She also shares a little about her marriage and its end and the role that running, among other things, may have played. I found this to be the most interesting and valuable portion of the book (next to Ensuring Your Escape Artist Donkeys Can’t Escape and Don’t Own A Horse That Wants To Kill You). Having some individual interests is generally a healthy thing for spouses, but lack of support and understanding from the other partner can drive a wedge into or put up walls around a relationship. This is absolutely not specific to running, but I appreciated Graham’s honesty about how it all played out in her situation. In her head, Graham talks to the ghosts/spirits/essences of Steve Prefontaine and George Sheehan. They speak to her and about her in her own, ongoing inner dialogue. They push her out the door and down the road when she’s not feeling the urge and they alternately encourage and disparage her into testing her limits. Coaching and support is always important, even if it is from two gentlemen who have departed from the land in the living. She runs her first half marathon in Kiawah. She struggles, as most runners do. But she pushes through and overcomes, and we understand the joy a simple bowl of hot bean soup at the end of a hard-run race can bring. 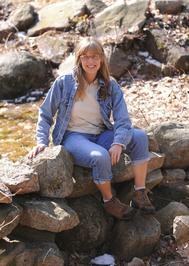 Then we find out that Jennifer Graham is 5’5″ and 155 pounds at her heaviest. And that she is running 10:00 – 12:00 miles. The photo of her provided at the end of book reveals a rather regular and ordinary woman. Because that’s what really struck me about this book. As a person who probably doesn’t fit the conventional stereotype of how a runner looks, who has overcome feeling of shame and anxiety about getting out on a public road and running (in time, even daring to run in public in OMGSHORTS! ), I was hopeful to connect with Graham. Graham attempts to be funny and self-deprecating, but for me the humor falls, awkwardly, short. There are a few amusing moments, but what sticks out the most is an uncomfortable, underlying bitterness. For me, statements like these are cringe-worthy and detracted from any solidarity, and occur far more than necessary. What Graham shares of her life certainly has its downs and disappointments and while she is honest about how they have rocked her, the truth is that not even running has helped her recover from the things that are hurt deep down inside. In her stories of the challenges she faces in the sport, I think Graham really disproves her own theory that she, as a “fat” runner, is somehow set apart from the rest of the running community. The self-doubt, the anxiety, the lack of motivation on some days, the search for the perfect sports bra or shorts… those are things that all runners experience on the regular. Whether we way in at 100 pounds or 400 pounds, we have these in common, which, at the end of the day, is what binds most runners in camraderie and make the community so great. It’s a little sad that Graham doesn’t seem to realize or embrace that. Needless to say, this was not my favorite and I walked away hoping that Graham is able to find her peace and learns to be kinder to herself in her running journey and in her life. If you read it, what did you think of Honey, Do You Need A Ride? Confessions of a Fat Runner? What are your thoughts on exaggerating on a title in order to entice readers? 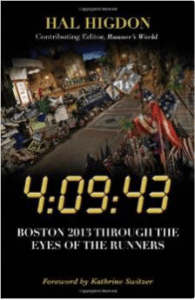 Next month, we will be reading and reviewing Hal Higdon’s 4:09:43: Boston 2013 Through the Eyes of the Runners. This will be a gutting read, but the stories from that fateful day in history certainly need to be told. I loved your review and your honesty. It is so much easier to give a positive review than to tell the truth. I knew that some people wouldn’t like this book. I didn’t mind her tone as much, because I’m a little snarky myself (altho I do tone it down for my blog!). The alternative title you came up was hilarious but it did hit the nail on head. Bottom line, it’s all about how we feel about ourselves. I felt bad about not liking it but different strokes for different folks, right? I am snarky and sarcastic too, but like I said, it got a little mean-spirited and I’m less impressed by that. That being said, I’m glad you got this book club going, and can’t wait to start the next selection. 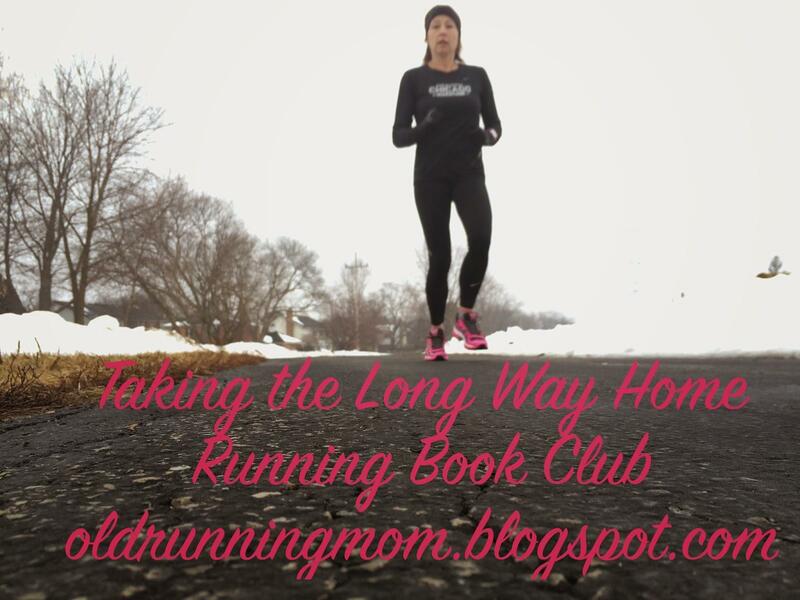 A) I love this running book club idea… love it! B) Based on nothing more than your review, I think I am likely to skip this book. What I love about running is the joy that it brings us as a community. I am sorry the author hasn’t found that in her case an I hope she is able to one day. It’s really a great idea. I don’t have a local book club so I love this one. I am way in the minority in my feelings on this book. Lots of people thought it was belly-laugh-hilarious and I think that’s great. It just wasn’t for me. I love your honest review! I actually put the book down at one point and wasn’t going to finish it. It was making the fat girl who lives in my head come out with a vengence. I did however, pick it back up. I thought it was funny, and ended up looking past the word fat. Afterall, I guess it really doesn’t matter how others see yu if you see yourself in a certain way? That is a very good point. Our perceptions are our realities, and Graham’s feelings are valid such as they apply to what’s in her head. I guess I wouldn’t have minded so much if she wasn’t so clearly hostile towards “you skinny people”, whoever they may be. Her anger probably needed to be directed toward the voices in her head, the ones that were telling her that people were mocking her and judging her. For me, it was insincere. However, from Amazon reviews and Goodreads, I am definitely in the minority. Which is ok. Like I said, I got some very valuable insights from certain things she shared, so it wasn’t a loss. I just wouldn’t recommend this to someone as a running (or any kind of) must read. I have to agree that the title is very misleading. We all have issues about our body, but she is definitely not fat like she thinks. It’s great. I just downloaded the next book. I know it’s going to be heartbreaking, but I think I”m ready to read it. Stellar review of the book, I haven’t read it and doubt I will now, but I feel like I got enough of a feel for it from your review. The title doesn’t fit with her image at all! Loved loved loved your review! Amazing and honest. I felt entirely the same as you. I had a hard time letting go what she was saying about her size and knowing she was just an average and ordinary women. The title is deceiving for sure and I have a serious issue with the impact her morbid outlook on her size impacts her children. Do they also label themselves, and if not, what does she say/do when her children share their concerns about body image and self-esteem? You’re right. There were some not so kind digs about her kids in the book, too, that hit me wrong, but I didn’t get around to touching on that. It just got to a point where I was uncomfortable reading.